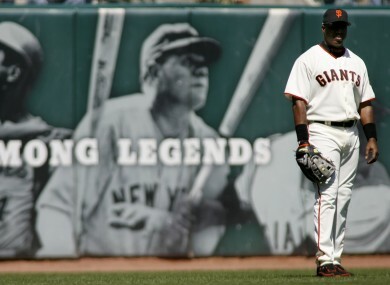 Tempted to photoshop a question mark between Barry Bonds and the legends? BARRY BONDS, ROGER Clemens, and a litany of other players who played during MLB’s steroids era were denied entry into the National Baseball Hall of Fame in their first appearance on the ballot Wednesday. The announcement provided a litmus test for how baseball writers would assess how they felt about players’ whose success is shrouded by the belief they used performance-enhancing drugs. No one was elected for the first time since 1996, according to ESPN. Clemens denied he used human growth hormone (HGH) and steroids between the years 1998 and 2001 before Congress in 2008 and was acquitted of six counts of perjury stemming from that meeting in U.S. District in July. Yet, Clemens’ legacy is still stained by those allegations. Barry Bonds was convicted of one count of obstruction of justice in 2011 for providing false or misleading statements to a grand jury about whether he used steroids or human growth hormones. The players did not get in despite overwhelming success in their careers. Clemens is the only pitcher to ever win the Cy Young Award seven times, while Bonds is the only player to win seven Most Valuable Player Awards. Bonds holds the record for most home runs hit during a career (762) and for a single season (73). Meanwhile, Clemens finished his career with the third-most strikeouts (4,672) and ninth-most wins (354) of all-time. But neither could overcome their tainted reputations to secure a ticket to the Hall of Fame on their first try. Biggio was denied a Hall of Fame nod despite being only one of a handful of players to reach the elusive 3,000 hit plateau. Mike Piazza also fell short despite a lack of evidence that he ever used performance-enhancing drugs and being acclaimed as one of the best hitting catchers of all time. Email “Baseball Hall of Fame inducts... no one”. 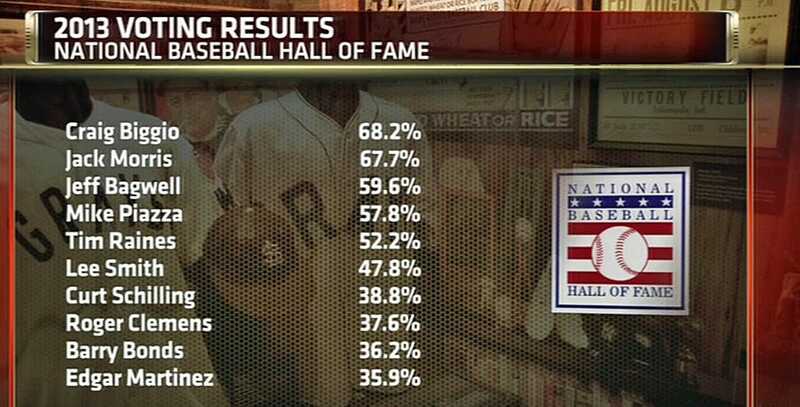 Feedback on “Baseball Hall of Fame inducts... no one”.